Soak the oatmeal in water overnight. 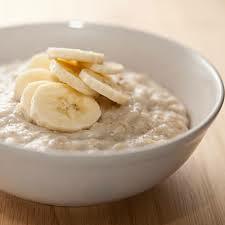 Boil the oatmeal and milk in a pan and then simmer for 15 minutes. Add more milk if your oatmeal is dry. Mix with dates and bananas and then serve.